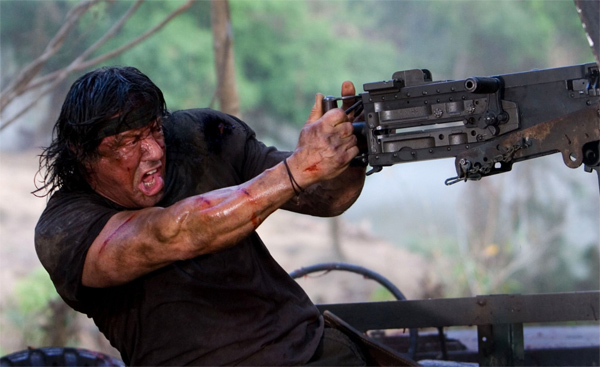 As of right now, Stallone will be involved as a creative consultant on the project, with a possibility of reprising the iconic Rambo. So, in order for this to be quality, only a few networks should be allowed to purchase this. I’m thinking HBO, Showtime, or AMC, as those three are capable of showing gritty-violent programming with gore. Which let’s face it, is what the ‘Rambo‘ films have a steady supply of. And what is ‘Rambo‘ without Rambo? I’ll tell you…NOTHING. Just take a look at the recently failed pilot based on ‘Beverly Hills Cop‘, which wasn’t going to prominently feature Eddie Murphy. It didn’t make it past test audiences. And Stallone still basically plays Rambo in the ‘Expendables‘ films, so I don’t see why he wouldn’t want to reprise it for television. I think if done right, this could be great, but chances are, it won’t make it to a network. This entry was posted on Wednesday, August 21st, 2013 at 11:06 am	and is filed under Film, News, Television. You can follow any responses to this entry through the RSS 2.0 feed. You can skip to the end and leave a response. Pinging is currently not allowed. « Top 3 Favorite Movie Duos!! !